You may not have known that you have a personal assistant. It seems like a lofty dream, but it’s true! Every iOS device now comes with Siri; Apple’s intelligent personal assistant. Siri has been a part of iOS since 2011, however it often goes underused and unnoticed by the average Apple user. Siri is a very powerful tool to have at your disposal. It can schedule events, make reminders, send texts, get you the news, get you the weather, and it can even order you an Uber. Impressive, right? The beauty of Siri is that it does all this using only the voice, bypassing the need to type, tap, or otherwise look at your device. The software used to make Siri ‘smart’ even adapts to your individual language usage and searches to make its results individualized. Siri has always been a powerful tool, however with Apple’s iOS 10 update, Siri got a new set of legs. You can speak to Siri more naturally than ever, use Siri with third-party apps, even control settings in your car. Beyond that, Apples new Mac OS Sierra made Siri available on your laptop or desktop. It’s designed to make your workflow more productive and make the whole user experience more streamlined. If you’re an avid Siri user, we’re going to show you how to make the most of Siri with all her new bells and whistles. If you’re just getting started, we’ll make you an expert! To start, you need an internet connection to use Siri. This can be through cellular data or through wifi. Siri is not very data hungry, however be aware that if you’re using it often it can start to add up. Then, once you’re connected to the internet, make sure Siri is on. 1. Open the Settings app. Tap on Siri. 2. Make sure that Siri is turned on. Then, simply say what you need, if Siri can do it, she will! While this is the primary way most people use Siri, there are other ways to activate the feature. If your iOS device is plugged into power, you can simply say “Hey Siri”, and it will activate Siri. If you have the iPhone 7, iPhone 7 Plus, iPhone 6s, iPhone 6s Plus, iPhone SE, or iPad Pro you can use the “Hey Siri” feature without having your phone plugged in. You can toggle this feature on and off in the Siri section of Setting, which we visited earlier. If you haven’t already, turn Hey Siri on and off. If you’re running iOS 9 or later, this will prompt your device to set up the Hey Siri feature by making it learn your voice. This makes it harder for other people to trigger the Hey Siri feature. Some users disable this feature to save battery power. Or, if you’re uncomfortable with information about your voice being collected and stored, you may want to disable the feature. If you’re using a headset or headphones, you can hold down the Home button and wait for the chime. Once you hear a chime, ask Siri for what you need. Some vehicles support CarPlay and Siri Eyes Free. Basically, what this does is connect the voice command in the car to Siri on your phone. If you have this feature, you should be able to to hold down the voice command button on your car’s steering wheel to activate Siri. Alternatively, if your car has a touchscreen, you can press and hold the Home button on the screen to activate Siri. Then, there will be an audio wave button (just like when you use it on your phone), you can tap this to let Siri know you’re done talking. This feature is adaptable to how you are using it; if you’re on a headset, Siri will read you your texts before sending them, keeping your eyes on the road. What Can You Do With Siri? You can ask Siri to do many of the things that you would normally ask a personal assistant to do. To give you a complete picture of the many things you can do with Siri, we’ll take you through some popular categories, and give you some questions you can try with Siri. Siri is great for staying in touch with friends and using social media. Now that iOS 10 has Siri working with third party apps like Facebook and Twitter, it’s even better. “Do I have any new mail from Michael Fitzpatrick?” This is a new feature. It only works if you’re using Apple mail, not any of the third-party email apps. If you use the Find My Friends app, you can ask Siri “Where is Sarah?” and Siri will work with Find My Friends to bring you results. You can post directly to Twitter simply by saying “Tweet ‘I’m in San Diego and loving it’”. You can also access the Phone app through Siri. Ask it things like “call back my last missed call” or “redial that last number”. To use the messages app, ask Siri to “read my last text from Matthew”. Or you can have a little fun. Ask Siri if you should call your ex-girlfriend – see what she says! Siri can be great for reminders and scheduling events because you don’t need to open up any apps. Use Siri for reminders by saying things like “Remind me to call Greg at 9am tomorrow” or “Remind me to put dinner on when I get home”.The best part about these reminders is their ability to remind you at any location or time. Ask Siri to “Wake me up at 6.30am.” This will set a one time alarm for the next day. If you want a reminder every day, tell Siri to “Wake me up at 6.30am every day”. Getting tired of waking up at 6.30? Tell Siri to “Turn off all my alarms”. You can shuffle around events in your calendar by telling Siri to “Move my 2pm meeting to 2.30pm”. You can add new events to your calendar by telling Siri something like, “Set up a meeting with Sarah on Nov. 1st at 2pm”. Siri to “Add baked beans to my grocery list”. Want to quickly know the results of the NBA Finals? Want to know when your favourite TV show is on? Want to quickly play some music? Siri can do all that and more. If you have Apple Music, you can ask Siri to play almost any artist or song, and it will play in Apple Music. If you have music downloaded on your phone, ask Siri to “Play Corinne Bailey Rae’s album” and it will start the album. You can ask Siri what movies are playing in the area, and even whether or not there are 3D movies playing in the area. If you’re into trivia, ask Siri to play the top song from any given year – it works! Siri is great when you’re traveling or just out around your city. It integrates seamlessly with maps and even with apps like Open Table, giving you the ability to book reservations right form your phone. You can also access Yelp reviews! To access Maps, simply say something like “Take me to Philadelphia.” You can also specify how you want to get there. For example, say “Get me public transit directions to the Guggenheim Museum”, for the up to date public transit info. You can also ask Siri things like “Find coffee near me” or “Find a happy hour near me” and Siri will use you location combined with Maps to get you where you need to go. When you’re driving, you can ask Siri “What’s my ETA?” and she will give you your up to the minute travel time. If you are looking for something cool, ask Siri “What planes are flying above me?” and it will get you the flight information for any planes overhead. Weird right? Siri’s integration with HomeKit is a new thing for Apple. HomeKit got a giant makeover in iOS 10, and Siri’s integration was a big part of that. If you’re using HomeKit compatible devices, you’ll be happy to find out what Siri can do for you! If you have HomeKit compatible lights, you can ask Siri to “Turn the lights all the way up” or “Dim the lights in the kitchen”. If you create scenes with HomeKit, you can ask Siri to activate them. For example, you can say “Good morning” and Siri will open your blinds, turn on your bathroom heater, and maybe even boil your water. Of course, you can only use Siri with HomeKit if you have HomeKit compatible devices. Still, the possibilities grow daily. Siri can change some of your Settings without you having to change them manually. You can turn Low Power Mode on and off. Turn Airplane mode on or off. Change the screen brightness. Take a picture. Etc. You can add punctuation to messages that you are dictating by saying speaking the punctuation aloud. Ask Siri to pick a card. Why not? You can use Siri to find apps, e.g. “find me some stargazing apps”. Best of all, you can ask Siri to call you by any nickname you want! Tell Siri to call you ‘Rockstar, for instance. One of the major changes that came with MacOS Sierra was the ability to use Siri on your Mac. The experience is quite similar to that of using Siri on your phone. The part that sets Siri for Mac apart is how it can access Mac’s excellent file sorting system. Apple has made Siri the easiest way to find, open, and organize files. As soon as you install MacOS Sierra, you can choose whether or not you want to activate Siri. 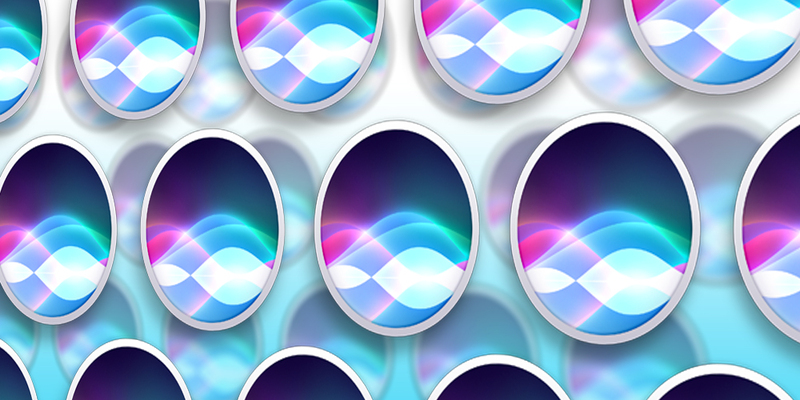 Once the installation is done, you should have Siri in your dock beside Finder. There is also a Siri icon in the top right hand corner of the screen. To activate Siri you can either click on either of these two icons, or hold the Command and Space keys at the same time. Presently, there is no way to set a trackpad gesture or a voice command for Siri. However, you can set up a different keyboard shortcuts in System Preferences > Siri. Much like on an iOS device, Siri only works when you’re connected to wifi. The most useful feature of Siri for Mac is it’s ability to access and organize files. Try asking Siri things like “Show me all the PDFs in the Downloads folder” or “Show me all the files I sent Michael yesterday” or “Show my files with Kitchen”. Ask Siri to find all the documents you opened this week. Then, using nothing but your voice, you can refine that search to include only items titles ‘Annual’. What’s great about this is the ability to click and drag the information that Siri pulls up into whatever you’re doing at the time. For example, you can search the web for pictures of Lake Tahoe, and drag them straight from the Siri window to an email. Then, you can keep Siri results easily accessible by storing them in the Notification Centre. The notification centre is accessed by click the three lines in the top right hand corner of the screen. Just click the + button at the top of any Siri result. There, the results will be kept up to date. This can be super handy if you’re keeping up with an issue in the news or a sports game. Instead of making a completely new request when Siri inevitably mishears you (or you say the wrong thing), you can just double click your question/command and edit it that way. So the file organization is pretty cool. However, you can also do many of the same things that Siri does on iOS. Asking Siri to play music, send a tweet, send a text, search the web, or add reminders and events to your schedule still works the same way as on an iOS device. Apple TV offering live television, Siri can prove useful. As it stands right now, if you want to watch CBS, you have to open the CBS app. If you want to watch Discovery, you have to open the Discovery app. Pretty inconvenient! With Siri, you can change the live TV app with a quick command, simply say: “Watch CBS” or “Watch Discovery” and you’ll go straight to the channel. We are living in the future, people! Again, Siri makes YouTube on the Apple TV much easier. You no longer have to open up the YouTube app and search manually, you can now say “Search YouTube for guitar videos”, and it will do so! Note that you do all of this from your iPhone using the iRemote app that was added in iOS 10. This is great for so many reasons. The primary one being how tiny and slippery those little Apple TV remotes were. It’s not as easy to lose your phone! Siri speaks a lot of languages. In fact, it can be used in almost every country and with most languages. It’s designed to work with local dialects and accents, so it’s always a good idea to have Siri set to your native language. To change the language that Siri speaks and understands, follow these steps. 2.Tap on the ‘Siri’ section. 3. Under ‘Siri’, tap Language and select from the huge list of languages. Note that there are different languages for different dialects of the same language. Choosing the appropriate language will improve Siri’s functionality. 1. Under the ‘Siri’ section of the Settings app, tap Siri Voice. 2. From here, tap the gender and accent that you want to hear. There are a few common problems users have with Siri, but most of them have quick and easy fixes. Most commonly, Siri will say “Sorry, I’m having trouble connecting to a network.” This usually means that the wifi connection is poor or the cellular data service is weak. Connect to a stronger network to use Siri. The other common problem people have is Siri saying “Sorry, I’m not sure what you said there.” If there is too much background noise, Siri can sometimes have trouble understanding what you’re saying. Speak clearly and try to eliminate background noise. If you’re having real trouble with Siri and cannot figure out why, Apple has a suggested list of steps you can take to get Siri working again. Try following these steps. After you complete each step, try Siri again, and see if it works. 1. Make sure your device is connected to the internet via wifi or cellular data. 2. Open the Settings app. Tap the Siri section and make sure the feature is turned on. 3. Restart your iOS device by holding the lock button down and turning it off. Then, turn it on again. 4. Under the Siri section of the Settings app, try turning Siri on and off again. 5. Try plugging in a set of headphones or a headset with a microphone. If Siri only works with your headset, you may have a problem with your microphone on your iOS device. 6. If all else fails, try contacting Apple Support. Most problems are solved by going through each of these steps. Once we started using Siri, we were hooked. It may seem almost nerdy at first, but it’s really super handy! The ability to use Siri completely hand-free in the car, the ability to use it with Apple TV, and the ability to use it on a Mac make it one of the cornerstones of Apple’s OS. Get started today, you won’t regret it!